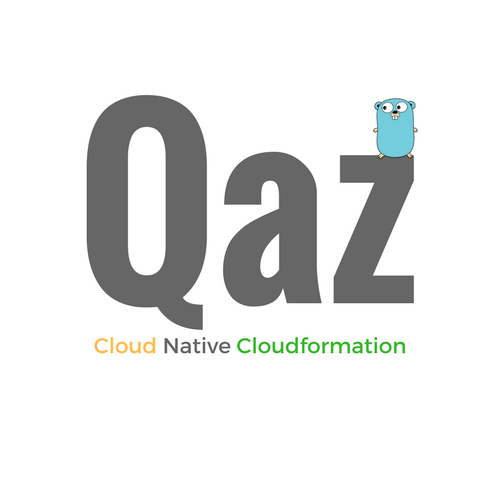 Qaz is a cloud native AWS Cloudformation Template Management CLI tool that focuses on simplifying the process of deploying infrastructure on AWS via Cloudformation by utilising the Go Templates Library and custom functions to generate diverse and configurable templates. For Qaz, being cloud native means having no explicit local dependencies and utilising resources within the AWS Ecosystem to extend functionality. As a result Qaz supports various methods for dynamically generating infrastructure via Cloudformation. Qaz emphasizes minimal abstraction from the underlying AWS Cloudformation Platform. It instead enhances customisability and re-usability of templates through dynamic template creation and logic. Decoupled build mechanism. Qaz can manage infrastructure by accessing config/templates via AWS Lambda, S3, or HTTP(S). The tool does not need to be in the same place as the templates/config. Decoupled stack management. Stacks can be launched individually from different locations and build consistently according to the dependency chain as long as the same configuration file is read. Encryption & Decryption of template values & deployment of encrypted templates using AWS KMS. Simultaneous Cross-Account or Cross-Region Stack Deployments. Troposphere & GoFormation support via Lambda. Dynamic Config File generation using Template Functions (New!) - Allows configuration values to be retrieved using API calls, from S3, decrypted via KMS and much more. Checkout the Wiki for more on how Qaz works! See examples folder for more examples of usage. More examples to come. Use "qaz [command] --help" for more information about a command. Qaz is now in beta, no more breaking changes to come. The focus from this point on is stability.